On March 13, three separate groups of students in AN232 Factory Life visited the North Plant of Toyota's automobile factory in Cambridge, Ontario. These visits are an integral part of the course. They are linked to many of the ethnographic case studies we discussed, as automobile manufacturing has long been a leader in the development of assembly line formats, environments, processes, and procedures. As students learned in the course, Henry Ford, the 1903 founder of the eponymous Ford Motor Company, introduced modern assembly line techniques to revolutionize manufacturing in North America and eventually the world. Ford’s adoption of a range of approaches to controlling production and its integration of the specialized assembly worker applied many of the ideas of another pioneer, the engineer and work process specialist, Frederick Taylor. As a result, the rigid work structures associated with previous types of vehicle manufacture and assembly line work once popularized terms such as Fordism and Taylorism. That is a part of the past now. 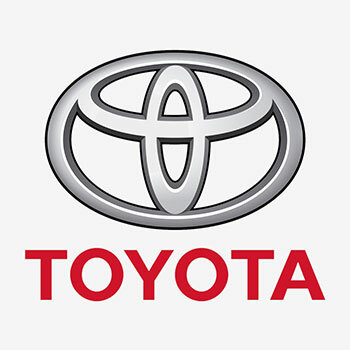 Firms such as Toyota have introduced 'just-in-time' manufacturing and 'quality circles' to reduce the burdens of parts inventory and to improve product quality. Former Toyota factory workers were the tour guides as well as Q & A session leaders for us. They provided insight into what it means to work on the shop floor, and on how one of the world's leading vehicle manufacturers organizes the production and delivery of customer-specific models on a just-in-time assembly basis. This has included locally produced both Toyota RAV4, Corolla and Matrix vehicles, and the Lexus RX-350 & RX-450 luxury SUV crossover models. In a train of electric carts (with safety belts, of course! ), we were able to move along distinctly painted paths that for safety reasons guide movement throughout the various areas of the plant and stitch together human as well as robotic work stations. Ontario Toyota Motor Manufacturing Incorporated Canada (TMMC) has some 8,000 employees at this plant and a plant in Woodstock, and produces over 600,000 vehicles a year. TMMC has recently been officially recognized as one of "Canada's Best Diversity Employers 2019." This off-campus visit was a great opportunity to match classroom content with on-site observation and learning.